The night of Shiva, or Shivratri is celebrated on a moonless night in February every year. Shiva is the destroyer and is a part of the Holy trinity of Hindus. Devotees of Shiva fast during the day and maintain a long vigil during the night. Stories of Shiva are narrated and hymns and songs are recited in the honour of Shiva. In temples all across the country, bells ring, sacred texts are chanted and traditional offerings of leaves and milk are made to the Shiva lingam, the phallic symbol of the god. According to ancient scriptures, Shiva manifests himself in the form of a huge flaming lingam known as Jyotirlinga on Shivratri. It is the duty of every worshipper to worship this lingam with at least one bilwa leaf. 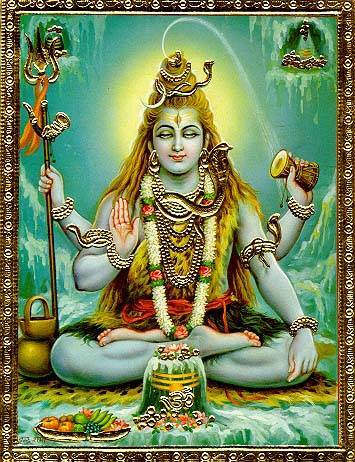 Offerings of the intoxicant Bhang and the poisonous Dhatura fruit is also made to Shiva.